This is the Happy Medium brought to you by Augies Coffee House. The Happy Medium features high quality coffees from some of their favorite origins. 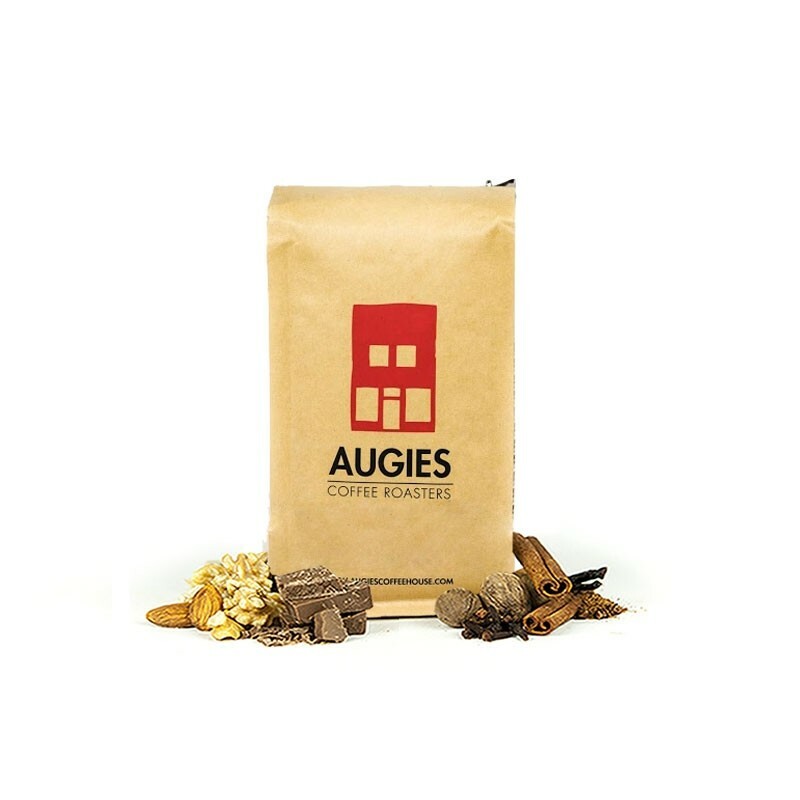 This medium roast has lots of rich, round and full bodied notes of cocoa, roasted nuts, and baking spices, and tastes great black or with a touch of cream. This is a favorite so far!!!! Hands down our favorite thus far. One of the worst I've tried in a long time. I've tried via espresso and French press. Makes a very underwhelming cup. Excellent for cold brew I steeped it for 14hrs and there is no bitterness to it at all. One of the best I've had in quite a while. Pretty good, but not a favorite. Not a Nutty or Full-Bodied fan. What a "Happy Medium!" Not too dark, not too light, not too acidic, not too bold, not too spicy. love the nutty notes in this. Perfection. of all the coffees Mistobox has delivered, this one takes top position as the one coffee i absolutely didn't care for. Zero flavor or personality and left my mouth tasting as if it was the ashtray set up outside the door of a waffle house. This was a delicious brew for making cappuccinos and lattes. A natural sweet flavor. Nice full bodied morning cuppa! Very nice. Smooth & flavorful. best so far! really like this overall body and flavor. This coffee had a great flavor, however, this medium roast was so subdued that we had to nearly double the mass of coffee used in a french press to produce something with significant flavor. While I'm usually a fan of lighter roasts, this stretches the lower boundaries of what i would call "medium." Pretty good coffee. Very smooth, nutty. Nothing earth shattering but I definitely enjoyed it.